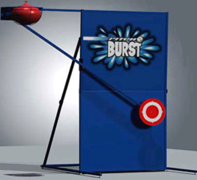 Funtastix Party Rentals has a great selection of dunk tanks and water sport game rentals for our Delaware, Pennsylvania, and Maryland customers. 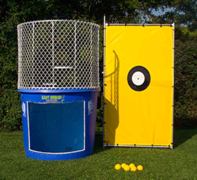 Dunk Tanks are an awesome attraction at any event and also make a great fundraising tool for non-profit organizations, schools, and churches. Browse the items below and click on the title or image for more information or to make a reservation.